Robots aren’t taking our jobs. They’re giving us our jobs back. The pace of modern work life has made us impatient. Unfortunately as expectations have increased, our workload has also increased. Although many today want tasks done fast, the to-do list never seems to get smaller or easier. Everyone - from journalists to doctors and lawyers - is juggling projects, working hard to meet relentless pressure at work. People struggle to keep up - and workplace statistics tell us it’s only getting worse. In 2016/2017, 526,000 workers suffered from work-related stress, depression and anxiety – totalling 12.5 million working days lost due to sick leave and a lot of very overworked staff. With all the overworked people in the world, you’d think that the modern workplace had become more productive, so by working harder and more efficiently we would have produced exponentially more output. But the sad truth is that between 2007 and 2017 the UK had zero increase in production efficiency. Part of this is caused by the battle in today’s workplace between getting tasks done efficiently and remedial tasks taking up a lot of time. Time restrictions impact productivity and workers struggle to tick off the day-to-day activities, giving them less time to finish the enjoyable creative jobs they’re most passionate about. One of the reasons for this is the lack of automated admin tasks. Things that should be simple cost hours in manual labour, which works against the productivity rate of professionals. Take manual transcription, for instance: people waste hundreds of hours a year manually typing interviews, statements and news conferences. In the media industry, journalists spend an average of 6 hours a week transcribing audio, slowing down the reporting process and newsroom productivity. Over the course of a year this adds up to two business months. That’s almost two months of every year that journalists spend transcribing when they could be getting stories out faster, producing more content and finding new, creative approaches to their work. So if professionals continue to use their time to focus on the mundane admin tasks, where does that leave creative, innovative jobs? Is creativity in the workplace dying? The news isn’t all bad. Advances in artificial intelligence (AI) mean repetitive, day-to-day workplace tasks can be automated. In fact, research from Adobe suggests 31 per cent of enterprises will use AI by April 2019. 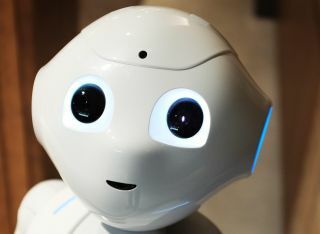 Further research indicates that robot input and computer automation will reduce the working week to just four days. So how will automation benefit business - and, more importantly, the professional? Studies have found giving professionals more time to recharge and energise motivates them to find more ways to increase productivity. This will surprise a lot of people and it’s a thought that many managers won’t like to hear, but is a really important point: when done right, working less equals producing more and better work. The media industry is taking full advantage of what technology offers – using robot input and computer automation to streamline journalists’ workflows, saving both time and money in the process and letting journalists be more creative. Take speech-to-text technology and automated speech recognition (ASR), for instance. These technologies have overhauled how audio and video files are converted to text, making a new and innovative kind of automated transcription service. AI transcription interprets the sounds that make up human speech and produces a text transcript, saving hours of labour through manually transcribing. When these transcripts are combined with an interactive editor that stitches the audio/video to text, the process of correcting transcripts is also streamlined. Straightforward tasks like note-taking no longer eat into workers’ time. Instead, they can use their hours on the clock doing what they're good at and tasks they actually enjoy. AI transcription removes the grunt work of lots of professions and allows people to flex their creative muscles, producing work that's more interesting and enriching. When they have additional time to focus on their jobs, professionals can produce work that pushes the boundaries and provides more value to the business. New technologies have also enabled audio and visual content to become searchable for the first time, letting users easily search for the exact moment they want to showcase. That means video editors have more time to perfect videos, journalists can source more interviews or refine a story's angle and educators can give students more effective educational tools. The evidence speaks for itself – AI is changing the way we work. When a workforce has more time, it can tap into its creative potential and focus time and efforts on its greatest talents. No matter how good the robots get, they will never be able to replace a human’s creativity or innovation. But by swapping out mundane, repetitive tasks for time that can be invested in more creative and strategic ways, technology lets professionals spend their time using that creativity and innovation to advance business objectives - and enjoy doing it. AI transcription puts the power of time back into the user’s hand, helping them to focus on the jobs they enjoy, boosting productivity and putting satisfaction back into jobs.